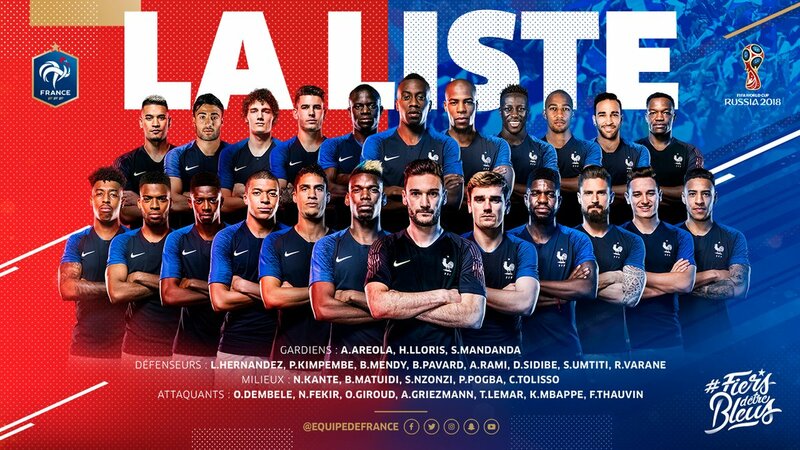 Alexandre Lacazette and Anthony Martial were snubbed as Didier Deschamps named his 23-man France squad. And there is no place for Dimitri Payet, who limped out of Marseille’s Europa League final defeat to Atletico Madrid in tears last night. The squad contains a five-man contingent of Premier League players, with Tottenham keeper Hugo Lloris expected to skipper the side. Manchester City defender Benjamin Mendy makes the cut, as does Chelsea duo N’Golo Kante and Olivier Giroud as well as Manchester United midfielder Paul Pogba. Both Martial and Lacazette are named as two of 11 reserves – along with Crystal Palace defender Mamadou Sakho, Chelsea centre-back Kurt Zouma and Spurs midfielder Moussa Sissoko. Incredibly, Arsenal flop Mathieu Debuchy, now at St Etienne, is also named as back-up. France are without defender Laurent Koscielny, who suffered a major Achilles injury in Arsenal’s Europa League semi-final against Atletico. Martial and Lacazette appear to have paid the price for their inconsistent club form, with Jose Mourinho and Arsene Wenger failing to give either a lengthy run in their teams. Lacazette, who joined for £55million from Lyon in the summer, netted 17 times in 39 games for the Gunners. Martial appears set to leave United after another season in which Mourinho has not appeared to trust him, with the former Monaco forward scoring just 11 goals in 44 outings. Les Bleus are one of the favourites for Russia 2018 but face a tricky group that includes Australia, Denmark and Peru.